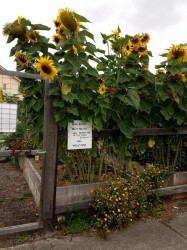 Merri Corner Community Garden welcomes you to join our community. We meet up on the second Sunday of each month to work together on the communal beds, keep the paths covered in mulch and reduce the grass and weeds from the plots. 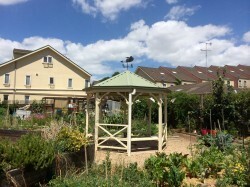 If you would like to be a member or would like to apply for a plot – find the form and send us an email. Come along to our monthly Open Garden session in November! Sunday 9 November 10:00am – 12:00pm Free event, all welcome – plot holders, Brunswick East locals – anyone who is interested in gardening! We’ll host a free talk by Annabel Nowlan, artist & landscape designer (and Merri Corner plot holder), on her experiences working as a sustainable landscape designer at 10.30am to 11.00am. 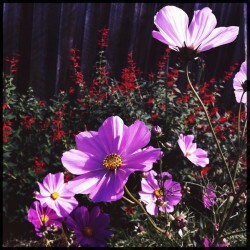 Come along to hear Annabel’s talk, and ask your own questions about sustainable landscaping. We’ll also have the usual general garden tasks on the go such as weeding and mulching, all welcome! 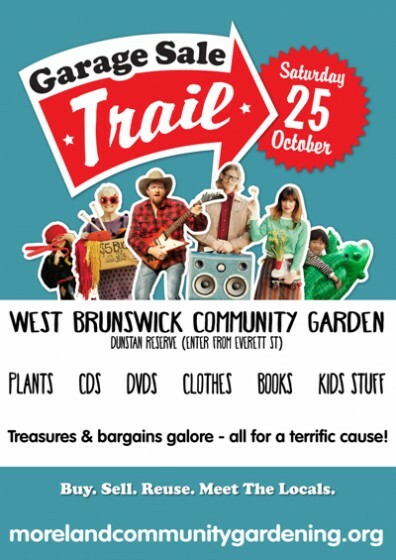 Our friends at West Brunswick Community Garden are having a garage sale, this Saturday 25 October. All money from sales goes directly to helping our garden to keep growing. You’ll find plants, seedlings, DVDs, CDs, books, clothes, crockery, glassware, interesting and unusual stuff! 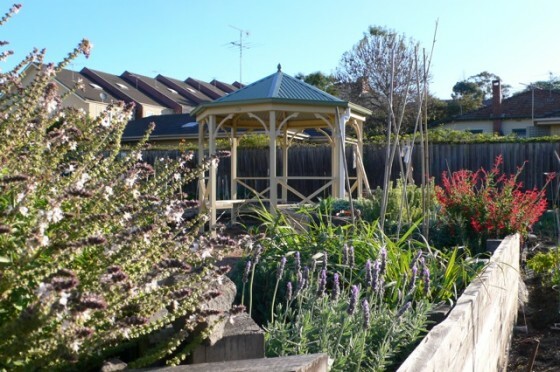 If you are around and fancy getting outdoors this weekend, come along to Merri Corner Community Garden’s MONTHLY OPEN GARDEN, held on the second Sunday of each month. Plot holders, neighbours to the garden, Brunswick East locals and friends are all welcome. It’s a chance to get your hands dirty, catch up with your fellow gardeners and help our garden grow. There’ll be plenty of odd jobs to do like tidying up garden beds and weeding or come along and work on your own plot. We will also be sowing tomato seeds in the mini hot houses for spring planting and also sowing some winter greens and peas seeds in the communal beds. These communal veggies and tomato seedlings are for sharing amongst all gardeners, so come down to lend a hand, share your knowledge and ask any questions about propagation. 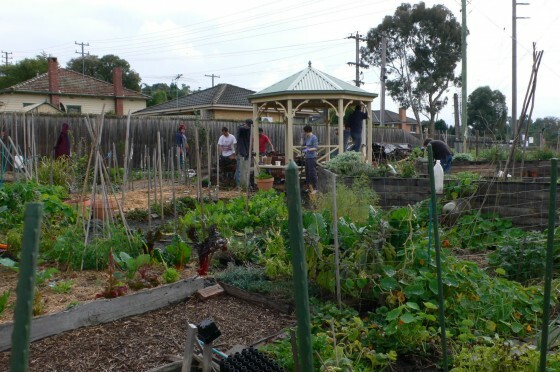 Merri Corner Community Garden, corner Donald & Harrison Streets, Brunswick East. Spend some time working on your own plot, or help with some general gardening jobs such as weeding, mulching, general garden tidy-up and maintenance – there’ll be something for everyone! This is a brilliant chance to get your hands dirty, catch up with your fellow gardeners and help our garden grow. If you haven’t been down to your plot for a while and need a hand getting it into shape for the upcoming Winter plantings, come down to the Open Garden and we can all pitch in to lend a hand. Or email the Garden Committee on [email protected] if you need some help. Happy gardening, hope to see you on Sunday! Thank you to Pauline Ahola for the beautiful photo of our garden in all its Autumn glory! 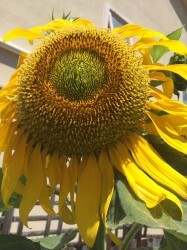 Thank you to Lauren Keim for the beautiful photo of the pineapple sage growing in our Kids Discovery Garden. Join us this Sunday 23 March for an Autumn Busy Bee from 10am – 1pm. We’ll have a compost workshop at 11am for anyone who is interested. 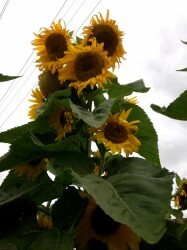 And there might even be some sunflower seeds from these beautiful sunflowers to harvest (thanks to Pauline Ahola for the great shots). •Kids Discovery Garden mini-bee – weeding, harvesting the last of the summer crops, composting and deciding what to plant for autumn/winter. If you can’t make it this weekend, we run a monthly Open Garden session on the second Sunday of each month. We’ll be doing some general gardening, odd jobs and there will be a mini compost workshop each month. 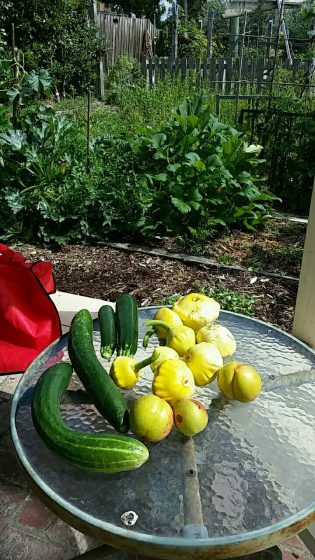 Come down to the next one on Sunday April 13 from 10am – 12pm to say hi, check out how the garden is growing and get your hands dirty! Come down to the next Veg In Veg Out on Sunday 14 April. We’ll have a workshop on how to propagate local native plants with special guest Ann McGregor from Friends of Merri Creek. We’ll also sow seeds for autumn crops to share – peas, coriander, lettuces and broccoli just to name a few. Seeds, cuttings and seed-raising mix provided, just bring your curiosity! 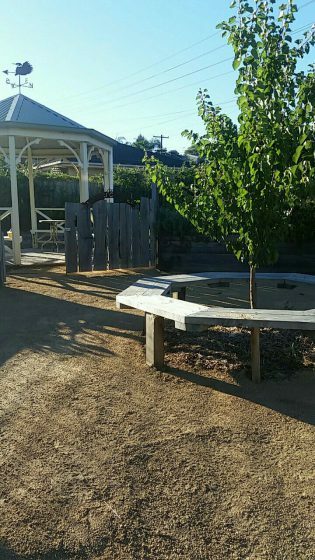 Veg In Veg Out is a free monthly event at the Merri Corner Community Garden on the second Sunday of each month and all are welcome! Here’s a link to the lovely article and interview with MCCG gardener and former president Eleisha. Thanks to all who could make it down for the photo on the day! The MCCG Committee meets on the first Monday of the month at 7pm. The meetings are generally held at the Edinburgh Castle Hotel (cnr Sydney Rd & Albion St), at a committee member’s house, or down at the garden in summer when the weather is fine. All MCCG Members and Plot holders are welcome! If you’d like to come along to the next meeting, please get in touch with us on [email protected] and we’ll let you know which venue the meeting is at.